Keeping up with new tech is important, and it can be easy to get lost in all the latest tech news. So you don’t get behind, this Tech Tuesday we’re looking at the Apple MacBook event on October 27, 2016. This Apple MacBook event was unlike others in the sense that instead of focusing solely on new products and new capabilities, much of the first part of the event was focused on products that had already been released like the iPhone 7 and iOS 10 update. Apple seems to be trying to remind people why they buy Apple products in the first place. By sharing reviews and going over statistics, Apple tried to show how well the company has been doing despite recent flak they’ve received for some of the latest changes to their products. The initial topic of accessibility started out the event, but ended up having very little explained about it. After a great video, Apple announced that they launched a website detailing all of their accessibility options for software and hardware: a much-needed resource for software many users probably didn’t realize existed with the latest updates to their operating systems. However, besides the brief introduction, the topic of accessibility was not touched on further in the event. Next was an explanation of the new features for Apple TV. 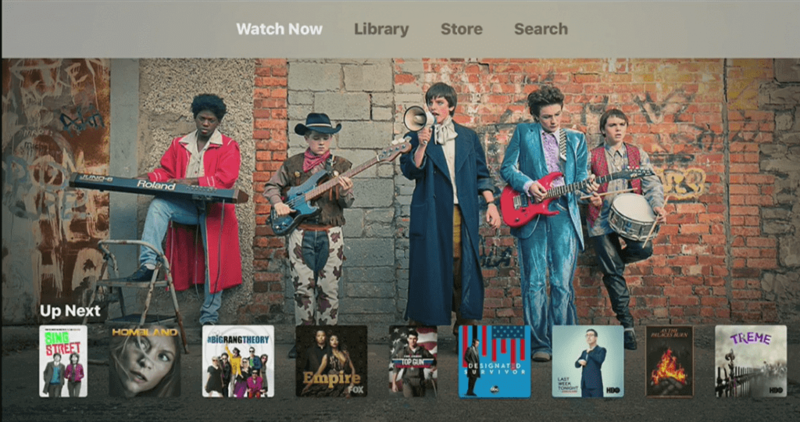 Apple launched a new app succinctly called “TV” with the hope of becoming a one-stop shop for showing movie viewing. The app links with other services such as HBO NOW to keep track of what you watch across various platforms and allow you to choose from among them on one all-inclusive app. The other highlight of the Apple TV presentation was the new ability to have your live Twitter feed on your screen as you watch sports in order to interact with the rest of the fans out there. Again, before the intro of the new MacBook Pro, there was another overview of the popularity of the Sierra operating system. We were then reminded how far computers have come in the last 25 years, specifically since last week was the anniversary of Apple’s first notebook. Playing on nostalgia, Tim Cook covered all of the major highlights of every single important notebook change. The point was of course to showcase that Apple believes their latest notebook to be one of the biggest changes that will last the test of time for the company. 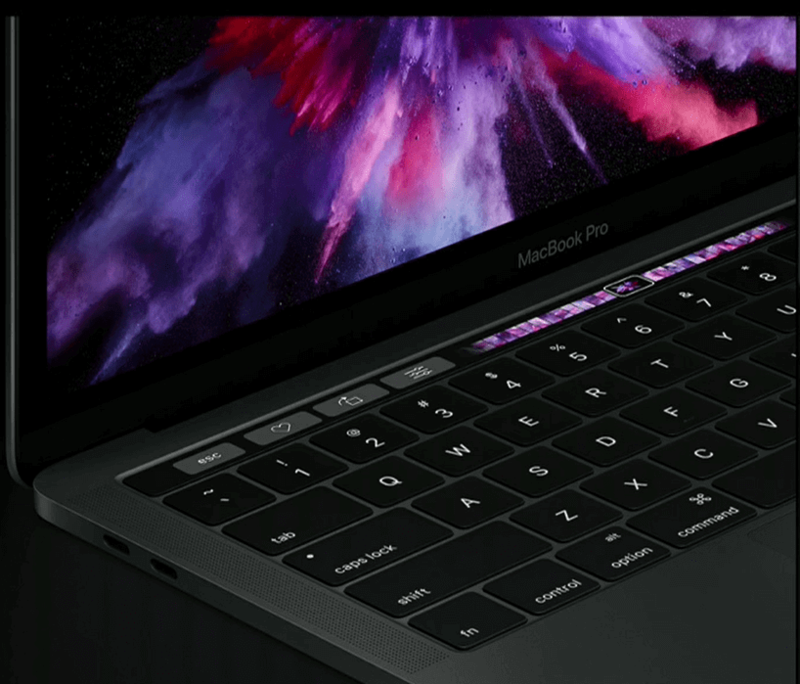 Of course, the largest change to the MacBook Pro is the addition of the Touch Bar, the touch screen reincarnation of the function keys at the top of any keyboard. While you still have access to the old familiars, the point of the Touch Bar is to adapt your options based on whatever app you are currently using. When you’re in iPhoto, you have access to small thumbnails of all of your photos so you can scroll through easily, when you’re typing a message you have access on the Touch Bar to quick type options and all your emoji, and if you are working in Photoshop you have access to all the tools you need. The Touch Bar has had mixed receptions, but the thing about the bar is that the average user will probably never want or need it. The bar seems to be most helpful when using specialized apps, specifically creative based ones like Photoshop, but is it really necessary to have emoji on the Touch Bar versus having to click with your mouse? Time will tell. 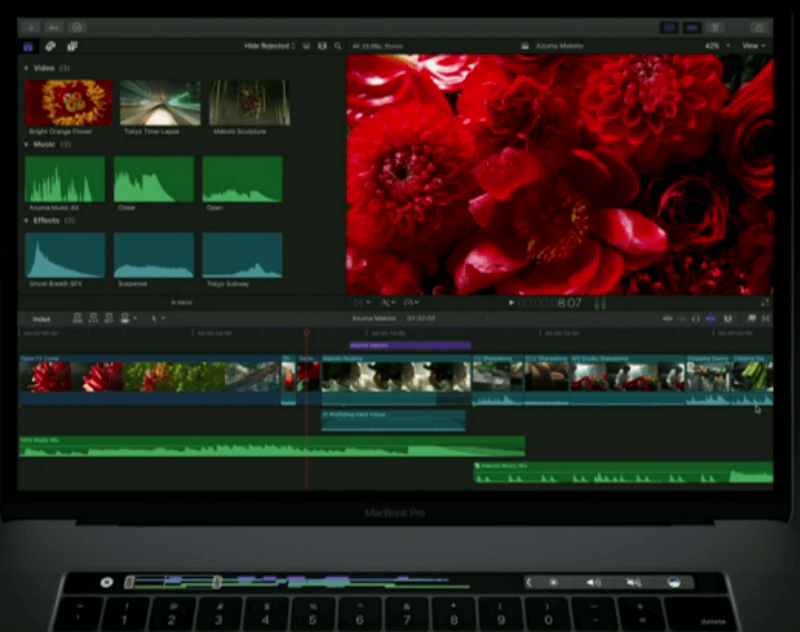 To emphasize the use of the Touch Bar for professional applications, Apple had three different demonstrations of the Touch Bar: Final Cut Pro, Photoshop, and djay Pro. Even the Microsoft office suite is going to be offering Touch Bar support for their applications. The rhetoric of the presentation also focused on creative aspects for the MacBook Pro, reminding us who was on Apple’s mind during the development of this newest offering from Apple. Other features are more obvious in their immediate usefulness. In the forward march of Apple Pay, the new MacBook Pro has touch ID worked into the original power button to allow users to finish payments online with their computer with the touch of a finger. Additionally, the trackpad is two times the size of previous versions on the MacBook, meaning that you won't run out of room when swiping on the trackpad anymore. As for charging, the computers have four USB-C ports, any of which can charge the computer. The 13-inch MacBook Pro is 17 percent thinner than the previous generation, has 23 percent less volume, and weighs three pounds. The 15-inch notebook has similar stats compared to the previous generation. By shrinking the size and weight of the newest line, Apple has effectively made the MacBook Air obsolete. The replacement for this is a 13-inch MacBook Pro that comes without the Touch Bar, but the starting price is approximately $500 more that the MacBook Air. All in all, Apple’s grand reveal wasn’t quite as grand as users were hoping, but the new MacBook Pro definitely has its positive sides. While one can’t argue that the new MacBook Pro itself is sleeker and lighter than previous generations, it hasn’t seemed to be the groundbreaking addition that was expected.